Do you love being around animals? Are you compassionate? Do you have a knack for learning? Are you an excellent student? If you can answer "yes" to these questions then perhaps a career as a vet may be the right path for you. Veterinarians are the primary providers of healthcare services to companion, zoo, and livestock animals. Most work in private practices, typically caring for smaller animals such as dogs, cats and birds. Others work with larger animals from zoos or farms and may travel around conducting important research that can help advance the field of animal medicine. They work with all kinds of people and must be excellent communicators in order to do their job effectively. Expect to attend college and graduate school anywhere from 4 to 8 years, possibly more if plan on becoming a vet specialist. Starting a career as a veterinarian can be highly satisfying in many different ways, aside from getting to work with sick animals. From a financial viewpoint, veterinarians are very-well compensated with great potential to earn well over the six figure mark, especially for specialized vets. The health benefit plans are better than most and typically include medical, dental, and vision coverage with low deductables. Vets are also well-connected individuals and generally know lots of people from their industry, making it easier to find employment and get professional advice. One thing to note is that the road to becoming an animal doctor is not an easy one and will require great sacrifice due to long work hours, extensive studying, and high education costs. If you share a great love for animals, have excellent study skills, and are high dedicated, then this is definitely a career path worth pursuing. The road to becoming a veterinarian is by no means an easy one. Such an endeavor will require strict discipline, determination, & dedication, and usually caters to people with the following personality traits: introvert, sensing, thinking, judgment (ISTJ). People with these traits are logical thinkers, decision-makers, able to focus, and responsible. Prospective vets also need good health and stamina to endure long work hours, be able to deal with thrashing animals, and performing precision surgeries. They need to excel in math, biology, and communications, on top of developing compassion & empathy towards suffering animals and their owners. 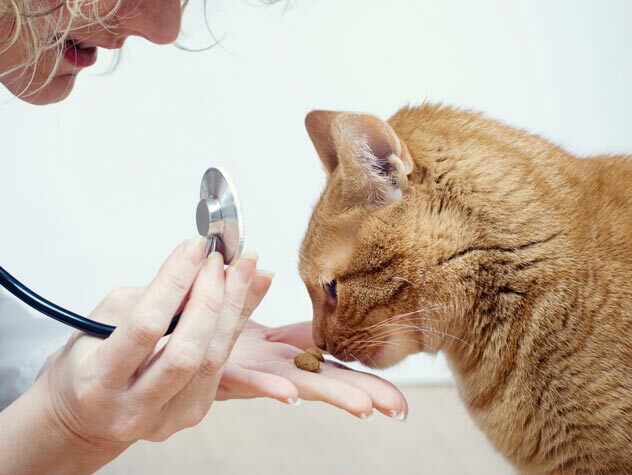 Successful animal doctors will also possess good management skills that allow them to solve every-day problems, including overseeing the office, running a lab, and training assistants, in addition to making decisions that will best diagnose and treat injured pets. The purpose of this website is to serve as a guide and resource for assisting those interested in becoming animal vets. In addition, this site can help potential prospects determine whether or not this career path would be a good fit based off of the eductional requirements, work experience, and job outlook. Each tab on the top navigation bar contains helpful information about things you can start working on today that will eventually help prepare you for an interview with a local veterinary clinic. In order to be a step ahead of the competition, you will want to have a résumé filled with an extensive educational background, relevant job experience, and a strong skill set. These particular principles and guidelines can also be applied to other related jobs, such as vet technicians, zoologists, marine biologists, and animal shelter managers. If you find this information to be useful or know of someone that could benefit from it, we encourage you so share this content on Facebook, Twitter, & Google+. If you have any specific questions, feel free to post a comment and we will do our best to provide a helpful answer.